Discover a reliable Cloud-based Disaster Recovery solution for business of any size. 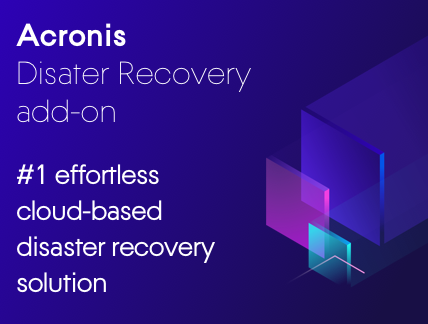 Acronis Disaster Recovery add-on is built on top of Acronis Backup and ensures quick failover of your critical workloads to the cloud, boosting your business continuity with no efforts. Gain instant data availability of all critical workloads no matter what kind of disaster strike.